Welcome to 42 Rosehill Drive located very close the the airport and 3 miles Aberdeen city centre with parking. 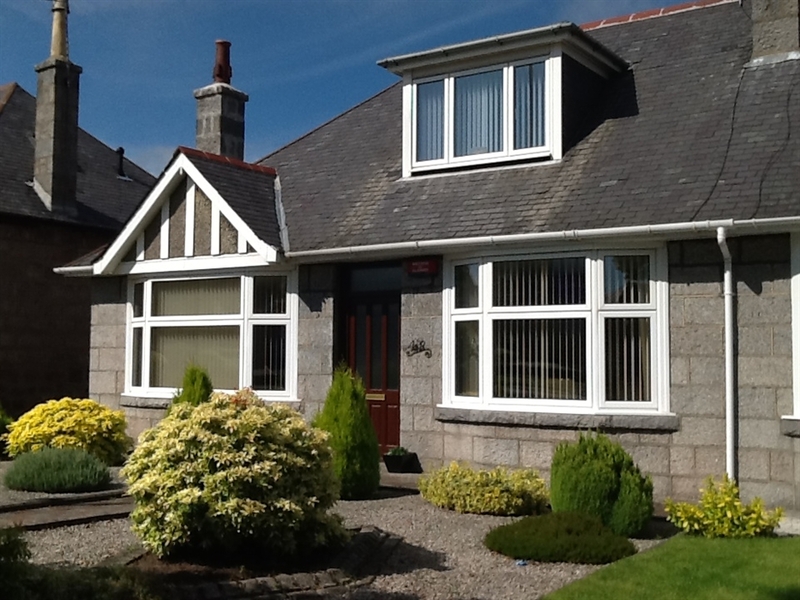 Our home is a traditional 1930's Aberdeen Granite building, which we have completely refurbished. Paul and I previously ran a busy Bed and Breakfast by the sea on the Isle of Skye. We are quite unique in busy Aberdeen in the fact that we only offer one room. This is for the reason that we wish our guests to have a quiet nights sleep and a peaceful tranquil stay. 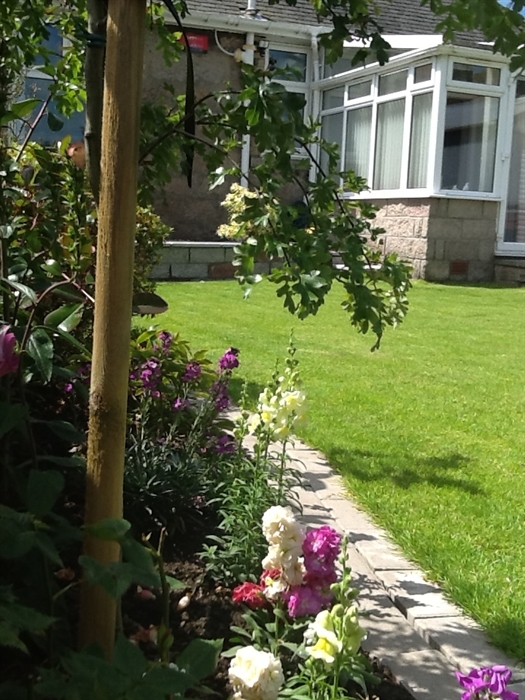 The room is situated on the ground floor to the back of the property, and over looks our lovely garden. 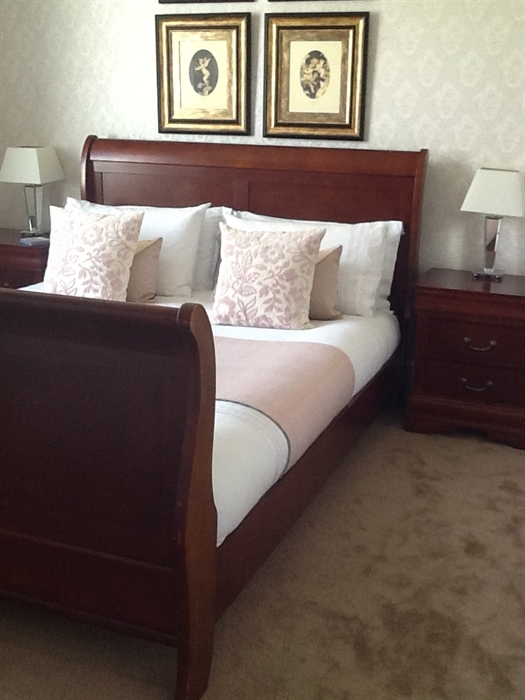 It has a King size bed with quality cotton bedding, tea/coffee facilities and boasts a 32inch flat screen TV. The shower is spacious and is a Mira. We have a south facing room where you can enjoy your Scottish breakfast. 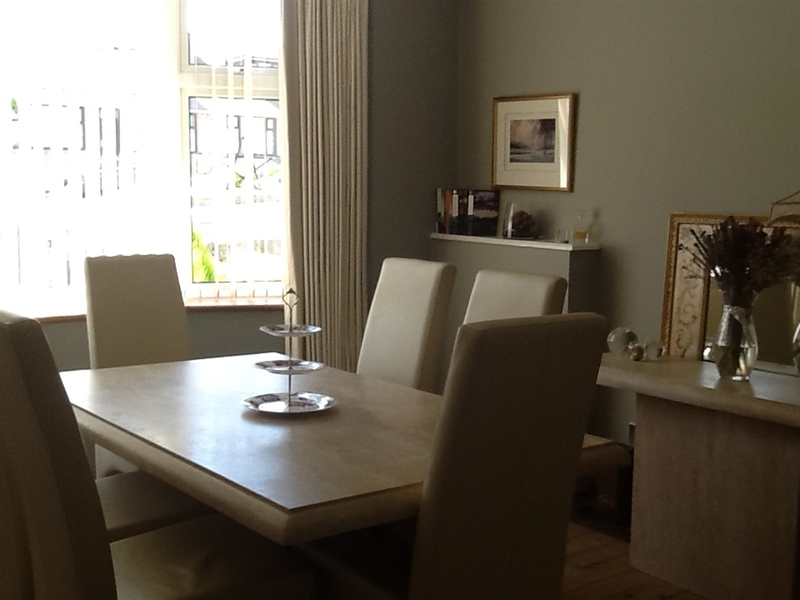 Guests have full use of this room to catch up on emails drink a pot of tea in, or simply to relax in after a busy day. Free unlimited Wifi. Our property is located 1.4 miles to the city and the Bon Accord centre. Free Parking is available to the front of the property and the city bus link is a minute walk from the front door. Number 12 takes you directly to the city and the many restaurants in Union Square. We are walking distance to Cornhill and Foresterhill hospital, with a number of parks being within reach of Rosebee, including the beautiful Seaton Park, Victoria and Westburn. A ten minute walk from Rosebee will take you to two retail parks with various shops and a supermarket. We are 1.2 miles to the University of Aberdeen. This is where Old Aberdeen is also located. Here you can find the magnificent medieval cathedral - on further exploring you can reach Brig o' Balgownie. The city centre has many further attractions and buildings, including the historical Footdee Fittie. Should you wish to venture to Stonehaven - then we are located 11 miles away. Duthie park is also worth a visit with the famous David Welch winter gardens are. Or perhaps you want a peaceful rest before you make a start on the Whiskey trail. Paul and I look forward to meeting you.